Only $10/ea when you order 10 or more! The 5-Minute Drill is an easy and effective way to answer challenging questions with an organized essay that a) makes an insightful interpretation and claim, b) contains evidence to support it, and c) provides an analytical explanation. With this prewriting activity, you can develop the major reasoning and organizational skills necessary for college-level thinking and writing. 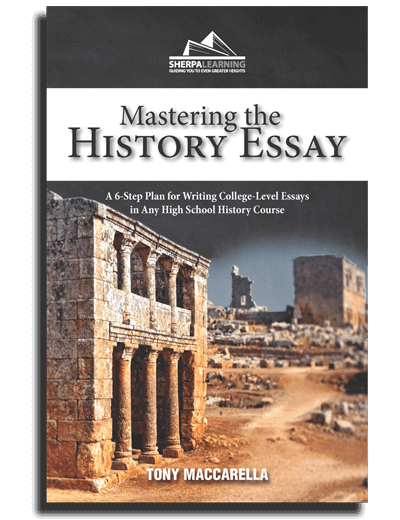 Originally designed to teach the writing of the five-paragraph essay for the free-response questions of the Advanced Placement history exams, the 5MD can be easily modified for any writing assignment for a range of levels. The 5-Minute Drill saves time, gets to the heart of the question’s answer, and produces unparalleled success. Rich Mayorga has been a student advocate and educator for over 35 years, and was Arizona's Teacher of the Year in 2003. He has been teaching AP U.S. History at Sunnyside High School in Tucson for 23 years, and is also a nine year veteran adjunct professor at Pima Community College. Prior to this, he taught four AP courses (World, U.S., Gov., & Econ.) concurrently for 12 years. Rich earned his BA, MA, and Ed.S. degrees from the University of AZ, and an honorary Doctorates Degree from NAU. Since 2000, Rich has worked closely with the College Board, serving on the Academic Advisory Council (AAC) and as a Reader, Table Leader, and Exam Leader for the AP US History national exam. From 2006-2009, he was one of two high school teachers selected nationally to serve on the SAT II – US History Committee, and in 2007, to publish sample curriculum in the College Board’s AP U.S. History Teacher's Guide. Rich served in the U.S. Marine Corps for four years. An admitted workaholic, Rich still makes his faith and family his priorities and finds time to go for a run each and every day.